We want to thank you for your continued business. So we've put a loyalty program into place that rewards you with 10 points for every order placed and 5 points for every £1 spent with us. Points earned expire 12 months after the last order. 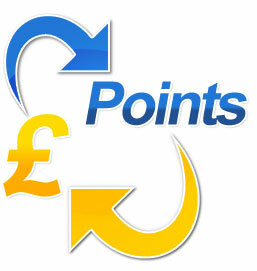 The minimum threshold required to redeem your points for a reward is 500 points. £1 in purchase = 5 advantage point starting from your first order. Your advantage points are calculated from the total order amount excluding VAT (where applicable) and excluding shipping fees. To redeem your reward, a minimum amount of £135 has to be placed. An order using redeemed rewards cannot be combined with other discounts. D2TIME reserves the right to modify the terms and conditions of the loyalty program at any time. Reward points are non-transferable. Note a change in your email address may loose your reward points. The value of reward points may change including their value without notice. Reward points earned are detailed in the checkout and account after your purchase. Reward points can only be redeemed against purchases made on www.d2time.co.uk and are not redeemable in any other form. Discount coupons are applied in the shopping cart menu before purchase of your product. Only one discount coupon can be used at a single time. Discount coupons and reward points can be redeemed simultaneously against your order. Discount coupons must be used within the expiration period detailed. If the website does not accept your coupon, then it's invalid or has been withdrawn. Discount coupons offered by external sites cannot be guaranteed for their authenticity or validity.